A new precious gem from the sea” Aqva Amara is a rich, Mediterranean, luminous and aquatic fragrance, based on the nobility of water. 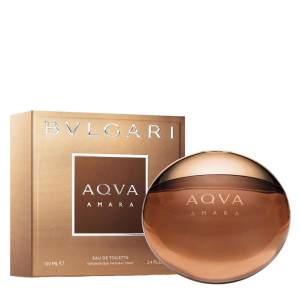 A new Aqva signature enriched with noble essences and warmed with the solar aura of citrus. The luminosity of Aqva Amara comes from the abundance and exceptional quality of its natural ingredients. This distinct water, tinged with a true naturalness and density, is a very original, bold creation, a fragrant imprint on skin, dedicated to men but appealing as well to women.